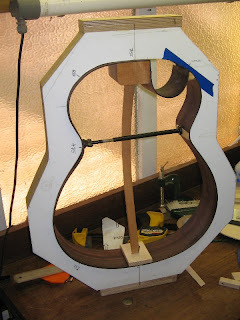 You can see that the body of Richard’s guitar is complete. He came over to see it last week and to discus its neck. He was really thrilled with the work so far, I haven’t seen someone so excited for a long time; that’s the kind of reaction that makes all the hard work worthwhile! 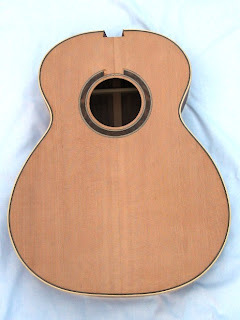 Width of finger board at nut. Amount of curve on the fingerboard. 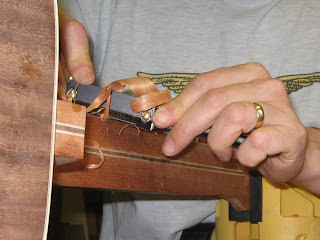 How the edge of the fingerboard is finished; some steel-string players like the edge rounded off so that it’s more comfortable to fret a note with your thumb. Action and gauge of strings. When you go for a custom built guitar you get to make these choices and if you are not confident about making the decisions for yourself, the luthier should be able to help you. With this new information the rest of the construction work has been taking place. 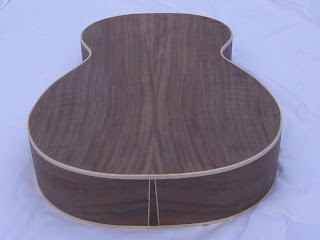 I’ve just completed fretting Richard's guitar. 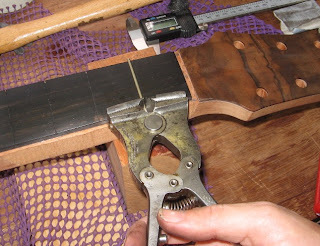 Once the frets have been hammered into their slots, any protruding fret wire must be cut-off. Over the years I have used many different types of cutters and none have been 100%. You need plenty of leverage so that you can cut cleanly through the fret wire without tugging and twisting and hence disturbing the newly installed frets, also you want to be able to cut as close to the fingerboard as possible, this cuts down on filing. 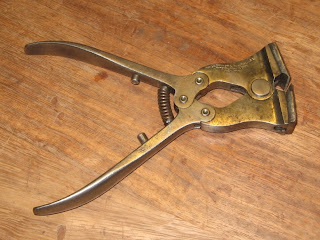 Below are my “new” favourite cutters, these were made by Starrett in the 1890’s and are still going strong! 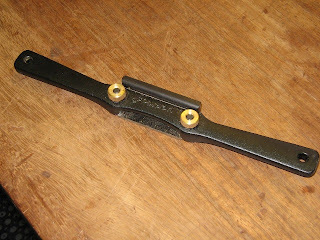 This is my new Veritas spokeshave, you’ve seen my wooden ones. This has much better adjustment and allows you to take really fine shavings; thoroughly recommended! I’ve been listening to Martin Simpson’s new CD. Apart from his superb playing, one thing that I like about him is that he plays luthier built guitars and always gives the luthier credit on the CD liner notes. If only there were more players like him!! Yesterday we went to West Dean College for their guitar summer school open day. Various luthiers had their guitars on display; it’s always interesting to see what your fellow craftsmen are up to! Andy Manson had his Mermaid on display, an amazing piece of woodwork.